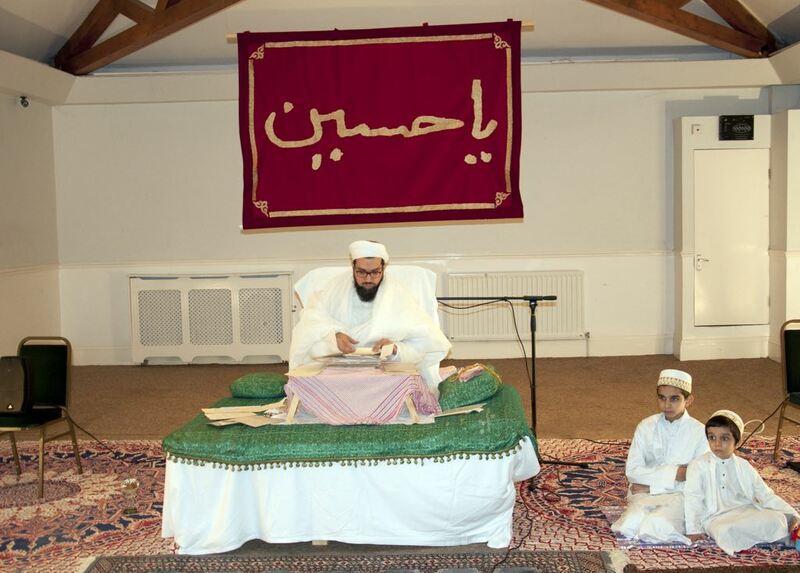 Shezada Dr. Abdeali bhaisab performed Waaz on the eve of the 2nd Moharram al-Haram in London UK. Addressing the Mumineen Shezada Dr. Abdeali bhaisab explained that we have gathered here in the days of Husain Imam to reflect on the Ilm of the Aale Mohammad, to mourn the martyrdom of Imam Husain and weep for him and do matam. 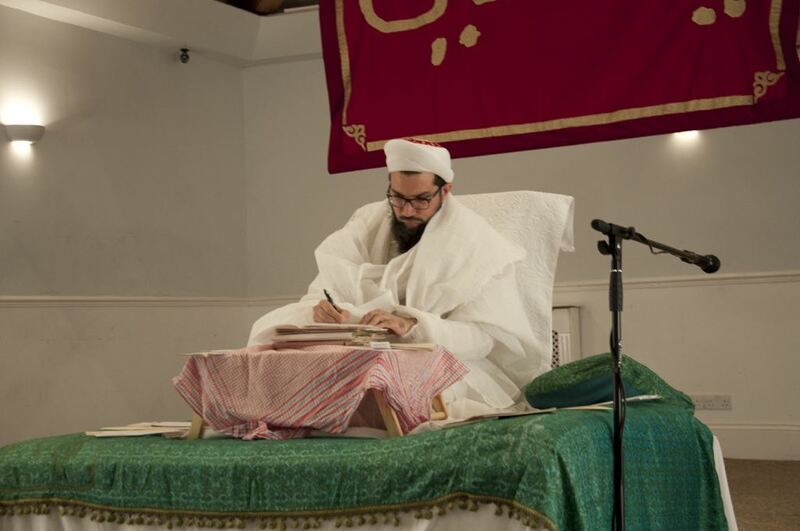 Supplication yaari from Allah and his Wali, and with the barakat of the raza Mubarak of our beloved Aqamola, the 53rd Dai, Syedna Khuzaima Qutbuddin, the waaz started with the explanation of how we are in the era of Panjatan and our Nabi Mohammad. We belive in the Nass of Rasul Allah on Mawlana Ali. He explained that Rasul Allah chose Mawlana Ali because Nass is the farman of Allah, and explained that this will never deviate and explained the Quranic Ayat, ‘wa Allahu ‘yasimuka min al-naas’. Mawlana Ali said to the Shi’a , that take good tidings, for Rasul Allah (sa) has not passed from this world except that he is pleased with you. Why? Because you have accepted the Nass, the farman of Rasul Allah. That is why the peak of Islam are the Shi’a, the pillar of Islam are the Shi’a. We believe in the Nass of Rasul Allah, and the tasalsul of Nass. That is why it is we mumineen who are the true Shi’a. He showed that the most noble of Allah’s creation is the human, because he has been given intelligence and reason. We must look with ‘basirat ni aankh’ the eyes of reason to reflect on matters. Just as science is precise, and must be weighted with the eyes of reason, so too true and precise knowledge of religion leads to the path of Jannat. To attain this true knowledge one must rely on the source that has preserved it, without deviation. Because of the tasalsul of Nass, this knowledge is preserved in the Aimmat and Duat. It is here that knowledge of religion is precise and dependable, because of the Nass of Rasul Allah. This is structure of Islam. Shezada Dr. Abdeali bhaisab then explained the meaning of the Quranic ayat: ‘Wa Allama Adama al-Asmaa’a Kullaha’ that Allah taught Adam Nabi all the names. Amongst many examples he explained the tawil in this, that the true heirs that persist in the chain of Nass have knowledge of the Quran, of what will be. Rasul Allah knew of what will happen in Karbala. On a similar note, Syedna Abdeali Saifuddin knew the names of the Duat and changed the name of the 47th Dai when he came to him as a young boy to ‘AbdulQadir’. The Ayat has ‘tawil’, inner meaning, and this inner meaning is preserved and protected by our Hudat. Those who denied tawil, only wanted to deny the people of tawil. Today those who deny the true Dai Syedna Qutbuddin has deviated from the sacred knowledge of the Dawat by saying that an Imam’s Nass can be changed! 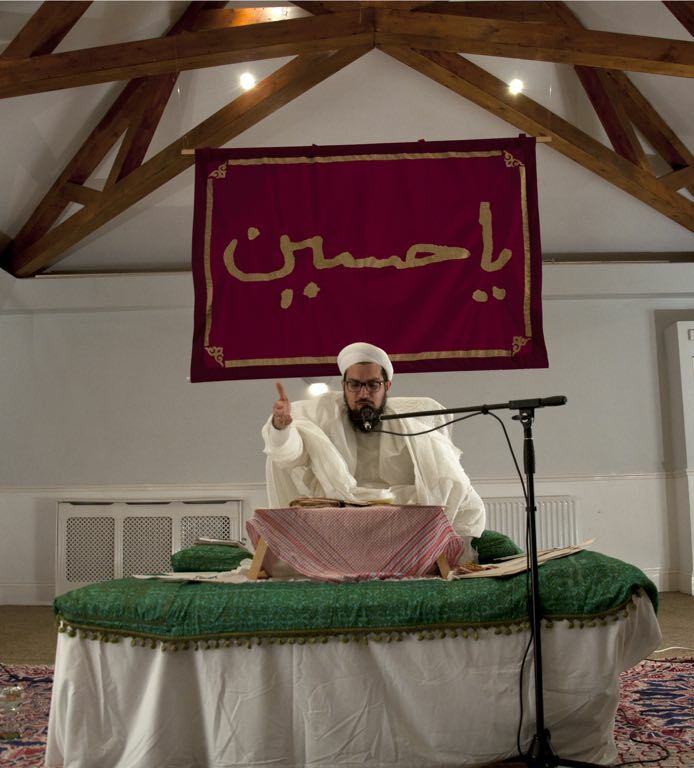 Shezada Dr. Abdeali bhaisab then did maw’izat with the kalam ‘ahabb al-khalq ila Allah anfa’uhim li ‘iyalihi’, that the most beloved near Allah are those who benefit the creations of Allah the most, and that our Hudat have shown us how to live in this way. He did much doa, that by the wasila of dataar Husain, all our wishes are fulfilled. He concluded the waaz by praying the shadat of Imam Husain with much riqqat. Tears flowed down the cheeks of mumineen hazireen who were moved and did Matam. Shezada Dr. Abdeali bhaisab also linked the meaning of the Shahadat of Imam Husain to the preservation of Islam and the kalimat al-shahadat and the tasalsul of Nass through Imam Ali Zayn al-Abidin. He prayed for Mumineen and our beloved Mawla Syedna Khuzaima Qutbuddin and for Fateh Mubin. Waaz was followed by salawat nu jaman and Mumineen hazireen took barakat of this jaman and talked with enthusiasm and brotherhood spirit between them. Shezada Dr. Abdeali bhaisaheb performed waaz on the eve of the 3rd of Moharram. Beginning with the ma’rifat that this world will never be empty from the Imam al-zaman, he explained that we bring Iman for all the prophets and messengers sent by Allah, and all the Imams and Dais, and we assert this continuous chain of existence. He explained that we want to return to Jannat and why this world has been created to enable this. The world is a world of aging and end. Jannat is azali, eternal. It is the Mumin, the one who ackhowledges and brings faith in the tasalsul who is privy to these inner secrets of religion. It is the Imam, and his Dai that perverse these meanings and inner secrets in their true form. The knowledge may be written, but the keys to understanding them with correctness and integrity are with the Imam and his Dai. 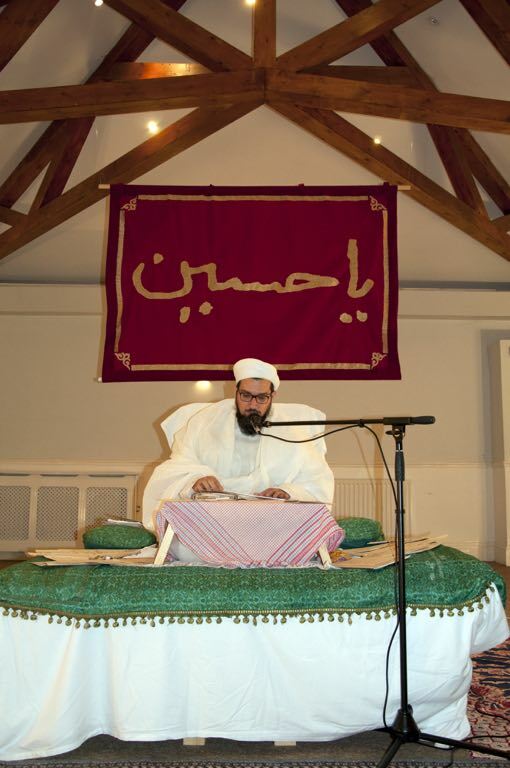 He explained the necessity of acknowledging this Mawla of the age. Being the second majlis, bayan followed on Nuh Nabi, and the meaning of safinah. The meaning of the Quranic ayah, ‘tajri bihim fi mawjin ka al-jibal’ was given and how the safinah of Dawat tackles huge waves of fitnat by tearing through them. A brief overview of what happened in the time of Nuh nabi was followed by the zikar of Rasul Allah, as the ‘Nuh al-dawr’, the Nuh of our era. A link was explained between the zikar of Nuh and waiting for relief from Allah and zikar of Rasul Allah and the meaning of asking for ismat three times before performing Nass on Ali Amirul Mumineen in Ghadire-Khumm. Various difficulties that prevailed over Dawat in the time of Rasul Allah and with the Aimmat and with the Duat were given and what huge sacrifices our awliya have given to preserve Dawat. Rasul Allah faced grave difficulties in establishing Islam, and his instatement of Ali Amirul Mumineen. Mansur Imam faced the great oppressor Dajjal. Syedna Qutbuddin al-Shahid gave his life for Dawt. Syedna Taher Saifudding fought opposition in Court to preserve Dawat. Shezada Dr. Abdeali bhaisab explained the huge opposition today against Dawat and haqq na Dai, Syedna Khuzaima Qutbuddin, and how for the sake of Dawat he has sacrificed so many things and is fighting for the Community his children. That Syedna Burhanuddin kept Syedna Qutbuddin as his Mazoon for 50 years from beginning to end is alone enough to show the veracity of the Nass and there are many proofs apart from that. The Nass was ‘khangi’, secret, because of the instructions of Syedna Burhanuddin which Syedna Qutbuddin upheld. Today Dawat prevails around the world, this in itlsef is a proof of haqq. Shezada Abdeali bhaisab then did maw’izat from the Ikhwan al-Safa which compares the body as a ship and the soul as the Captain of that ship. This was followed by ghamm nu bayan. The ‘mawj’ that hit Husain in Karbala was explained, - the loss of Abbase Alamdar, Ali Akhbar, Ali Asghar and all ahle bayt and ashab, and Mumineen wept in remembrance. The Shahadat of Imam Husain was prayed and Mumineen were moved from inside and wept with tears and matam.